For the winners of the 2017 Momentum for Change award, the ceremony in the second week of COP23 wasn’t a moment for individual celebration. Instead, it showcased how local projects from across the world are forming a broad and powerful coalition committed to shifting the status quo. From suitcase solar lights helping rural women deliver children in safety to a new arctic ice monitoring system for Inuit communities, the award-winners of the flagship UNFCCC award were diverse in geography and expertise, but united by a common goal – to face climate change head on with practical, inclusive solutions. 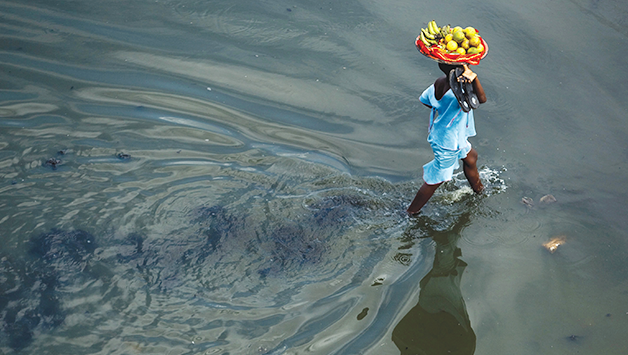 The Livelihood Protection Policy, a climate insurance product devised by the Munich Climate Insurance Initiative (MCII), hosted here at UNU-EHS, was one of the award-winners and is a clear example of how bringing diverse actors together can help shift the way an industry thinks about climate change. Unlike many other types of insurance, the LPP extends coverage to some of the poorest and most vulnerable people in the Caribbean, a region hit hard by worsening hurricanes in the last decade. With minimal bureaucracy, the LPP policy pays out when a certain level of wind or rain is recorded by satellite in the region. It allows farmers, market vendors, fisherman and others access to a form of financial assistance they would otherwise not have. Sitting in the audience was Walter Edwin (above, left), a St Lucian beekeeper and beneficiary of the LPP who left the Caribbean for the first time to fly to Bonn to tell his story. Severe storms make it hard for his bees to find nectar, and strong winds can kill them. The payouts from the policy have allowed him to invest in new ways to protect his bees, and allow him to buy nectar for them when winds ruin local flowers and blossom. 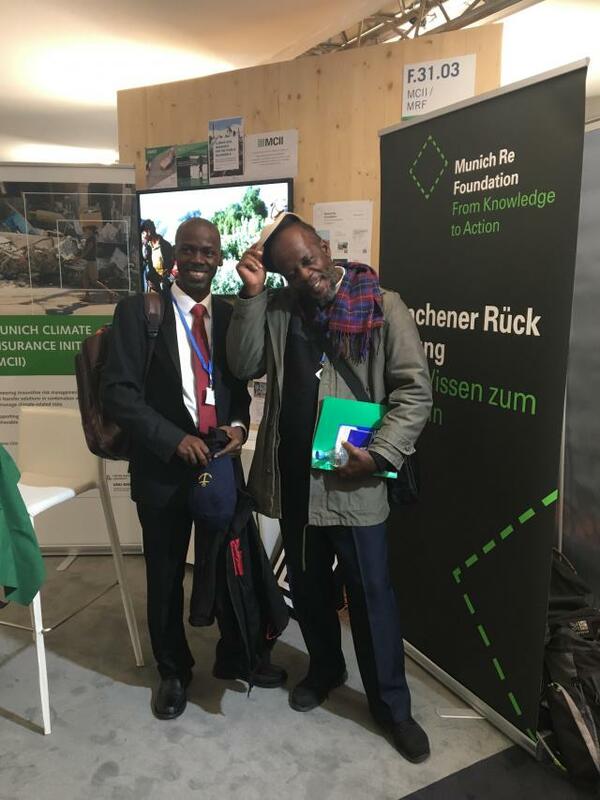 The Munich Climate Insurance Initiative (MCII) was set up as a charitable organisation by representatives of insurers, research institutes and NGOs in April 2005 in response to the growing realization that insurance solutions can play a role in adaptation to climate change, as suggested in the Framework Convention and the Kyoto Protocol. This initiative is hosted at the United Nations University Institute for Environment and Human Security (UNU-EHS). It is focused on developing solutions for the risks posed by climate change for the poorest and most vulnerable people in developing countries.